It seems to me that we have a serious divide in our country today, that has entrenched itself in every sphere of culture. Intellectual progress is made with differing viewpoints politically & spiritually, when two ideas/thoughts clash against each other. The divide we are experiencing today demands silence from one particular group which is what destroys intellectual progress and ultimately destroys the nation. Today, cultural elitists have made war against America using an agenda to silence dissenters, especially those of the Christian faith. They would rather make war than let the nation survive. On the other hand, there is an overwhelming majority of Americans that are being forced to accept war, rather than let the nation perish. The problem today is that very few are willing to accept this war. I can’t imagine the thought of having to leave my wife & kids to look down the barrel of a musket against my own countrymen. The Civil War must’ve been an awful war. No one in their right mind would want to do that. Yet today we are not shooting each other, we are silencing each other. It’s a bit of an easier pill to swallow, but it’s a pill nonetheless that we should not HAVE to swallow. So how did we get here again? Why this silent war that is ripping our nation? 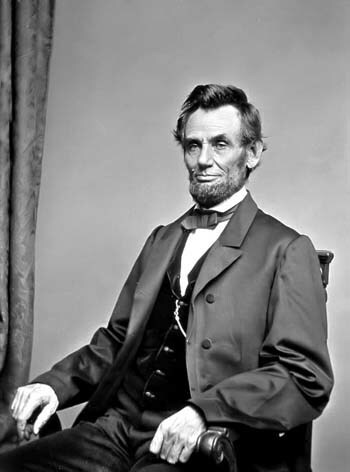 Looking back to learn we can see why President Lincoln believed the Civil War came…as a judgment of God from the sin of slavery. I firmly believe that what we are experiencing today is largely due to the shedding of innocent blood through abortion. Yet, if this judgment has come, then let us seek the One who can forgive & heal our land.